I’ve mentioned before how difficult video gaming can be for those with disabilities. With customizable controls being my number one complaint in modern games, I’ve spent a lot of time trying to find ways around it. Sometimes the options I find can cost quite the pretty penny and I usually find that it’s not exactly worth the cost. Yet, I have come across some better solutions that are more acceptable as far as price goes. As I am primarily a PC gamer, these options are for PC only. Though I highly recommend the organizations I mentioned here for console gamers who don’t want to wait for the PC version of a game (if it ever comes out at all). has twelve individual buttons on the side along with five more in addition to the usual three on top and the mouse is completely programmable. 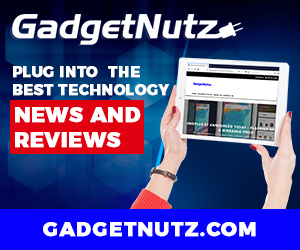 As the name implies, this mouse is designed for gaming and it has a downloadable application that allows you to create and manage multiple configuration profiles. You choose a game you want to make a profile for and once the configuration is set, the mouse automatically switches to that profile whenever you have that game open. 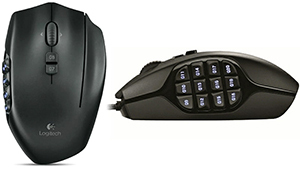 I find this great for MOBAs like League of Legends and DotA2 as I can program all my major commands on the mouse alone and not have to worry about keeping a hand on the keyboard. Seventeen buttons still not enough for you? You can set up three total configurations on one profile. The reason I got this mouse is I used to have a Razor Naga mouse which died in under a year. The G600 has roughly the same setup and I’ve had it for a couple years now. My second solution to those uncustomizable controls is AutoHotkey. If you feel comfortable with a little bit of basic coding, you can write countless macros that fit your needs. This is my best work around for unfavorable keyboard layouts that force you to use WASD for movement. Personally, I find this useful for games that are still in alpha and control modification hasn’t even been considered for the game such as The Forest and Starbound. Though that doesn’t even scratch the surface of what this program can do. Want to set up a macro to taunt your opponents with witty banter? Easily done. 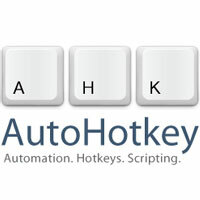 AutoHotkey comes with a guide to help understand the syntax for beginning users and you are the only limit to what you can do with it. That is unless you reprogram every key on your keyboard. So that’s all I have for adaptive controls with a PC. While it isn’t much, sometimes the little things make a huge difference. Sometimes it gets a little annoying having to enable or disable settings just to enjoy something that is meant to be entertainment. Yet, I think it’s worth it in the end. One thought on "PC Tips for Uncustomizable Controls"
AutoHotkey is a little gem. I’ve used it to remap some of my keyboard so aggravations like the cap lock key is now another delete key (that’s a whole lot easier to use) and F1 is another Enter key — both allowing easier keyboard use with the mouse or digital pen in hand. I’ve also found StrokeIt to be useful in adding mouse gestures to programs that don’t already have it.